Today we present our new line of sunglasses aluminized wood which already have some models available in our online catalog and also in shops of many of our dealers. But ... what is the aluminized wood? Aluminized Wood is the name we have given to our series of sunglasses are made with a laminating technique by which intersperse between thin sheets of different natural woods with which usually manufacture our sunglasses, one or more thin aluminum sheets..
With this technique we reduce both mount and pin (for) the thickness thereof reaching heights of about 4mm, which compared with solid timber or normal laminate without aluminum would be a reduction of almost 50 % of the original thickness. Furthermore, and despite the reduction in the thickness of the frame and sideburns, aluminum provides high strength and dramatically minimizes the risk of breaking the saddle even being 50% thinner. Aluminium is a light and strong metal, so we also got further reduce the weight of the glasses, which already in itself was low. In the aesthetic aluminum frames aluminized gives our wood provides an attractive, elegant and suggestive metallic touch both sides and inside of the frame. In all our glasses wood aluminized metal series you will appreciate the both side, and inside thereof. As the frame is made by thin wood interleaved each other and combined with the aluminum inner part thereof is especially attractive as it forms characteristic colors patterns that make your mount a single very special piece. 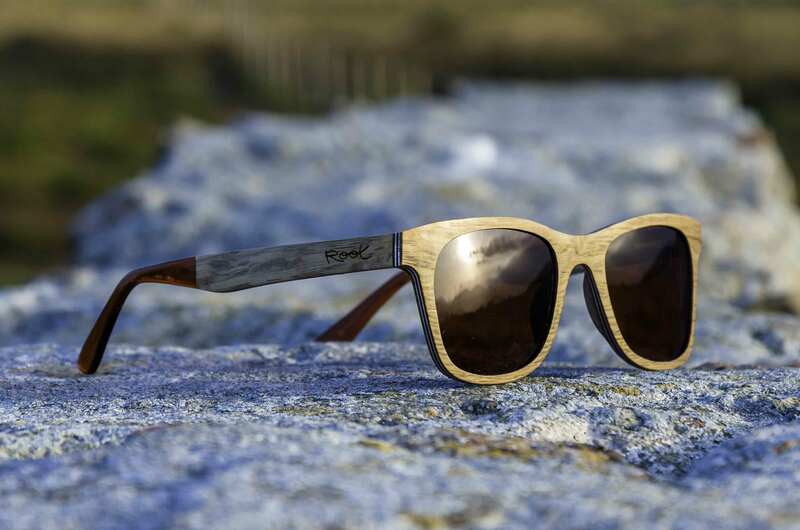 The series of aluminized Sunglasses @ Root wood is a premium series designed for demanding customers looking for a high quality product made of wood beautiful and noble. Therefore the pins of all our glasses are finished wood aluminized acetate quality allowing adjust (by applying heat) to the distance from the ears of each face. Acetate covers an inner rod that can be adjusted. All series of aluminized Sunglasses Root wood comes standard with an prático folding case that protects your sunglasses when they are inside and takes up very little space in your bag on even in your pocket when folded. Within the series of aluminized wood have some really special models such as the ORMUZ model that we show in the picture above, made with wood aluminized Mpingo and with a very special detail since wood is curved on the sides, the which allows the mount itself has a large curvature making this model a very sporty model.